Thriving Business and Never, Ever Looking Back. I’ve learned a thing or two in the (almost) five years that I have been running my own business and I have distilled this for you so you can have Your Roadmap to growing Your OWN Thriving Business. What I have learned has to do with knowing what it is that has really worked in the process of growing and scaling a business. And while there are a lot of experts telling you that you should just do a product launch, or post on social media six times a day, or even worse, grow a list of 10,000 people without any idea of what you will sell them, or with no strategy whatsoever. The truth is that the road to a successful business needs to be way more strategic than that, but also does not have to be that hard. Instead of loads of information, you need insight more than anything else. You need a roadmap rather than trying to learn every strategy on the planet from day one. Phew … I got tired just writing that! You might not be ready for any of that. How are you supposed to grow your business then? And how are you supposed to make 10 k $10,000/ month, or $250K a year if you are not hustling day and night, working 24/7 …just to feel good about “having a win”? and linking your self-worth to that business success. And it is about to rock some people’s lives. What is The Power of Profit Roadmap? what “bright shiny object” NOT to focus on, and what you must do to move as quickly as possible to the next stage. The whole objective of this roadmap is to give you clarity and eliminate those feelings of overwhelm. It will help you feel more confident, more excited, and you will experience a dramatic difference in the speed of the growth of your business. It has not been without my fair share of being overwhelmed, frustrated—feeling lost as to which strategy to follow at that particular moment, Which expert to pay attention to, what mastermind to join and how many thousands of dollars I needed to spend if I wanted a “good” mentor to help me and guide me. Listen, I am all about mentoring. I have always had a person I could talk to, one-on-one, and to be honest I don’t ever want to be without one. I believe that at the very beginning when you are making $0, ZIP money, it would be helpful to have a clear roadmap, a guide, and a strategy that did not require you to mortgage your home to pay for it. Let me show you how this went down for me. Back in 2012, I had a breakthrough. Business Degree, Masters in Finance, Professional Coach, Master Coach, Energy Healing practitioner, yada yada yada. So I could be there for my kids when they came home from school, so I could travel with them when I needed to—but I had no idea how to get started. A gorgeous website … beautiful branding … but only three clients! so no other woman ever would be stuck for not having enough money! I had a huge desire to make this work. How am I supposed to make this work?! Maybe I am not cut out for this? BUT GIRL, I was determined. I remember saying, “if other people can, I can too! I will figure this out.” this was my only option. I have built a business that has different components: year-long mastermind, a year-long group program, a couple of 6 to 8 week online programs. 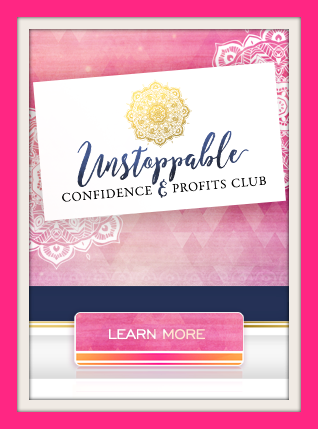 I wrote a book, I have a membership site where people can learn from me at a fraction of the price UCPC full of entrepreneurs I absolutely adore. I am dedicated to reaching more people with programs that deliver true value. I am dedicated to creating offers where you can get the support you need without breaking the bank. You see, as I worked with more and more people, I noticed a common theme. People are overwhelmed with so much contradictory information. because they are comparing themselves to others that they see online, and they get confused about which tasks to focus on to get the results they desire. and may I say, deserve! And since I have been in their shoes and felt their frustrations, I set a goal to create the roadmap that I wish I had had—a roadmap that will help my clients keep focused, on track, and gradually but steadily move towards their ultimate goal. Basically, I focus on helping them build profits in their businesses. And now, I want to do the same for you and your business. So, which stage of business are you in? This is the first stage of the roadmap and where we all start. Typically this stage lasts from 3 to 6 months. You have no list and no sales. heck, you don’t even have a business. You have desire and motivation to grow your business. You’re starting from scratch with no clients. You need to figure out what it is that you do, who it is that you serve, and how you can help them. Can you see yourself and your business in this description? You have no idea if you will be able to make “this business thing” work. I’m not sure anyone will buy what I’m selling. I want to build my business, but HOW? I want to get clients, but HOW? Sound familiar? Yep! Welcome to the Figure-It-Out stage! So what strategies should you focus on in The Figure-It-Out Stage? 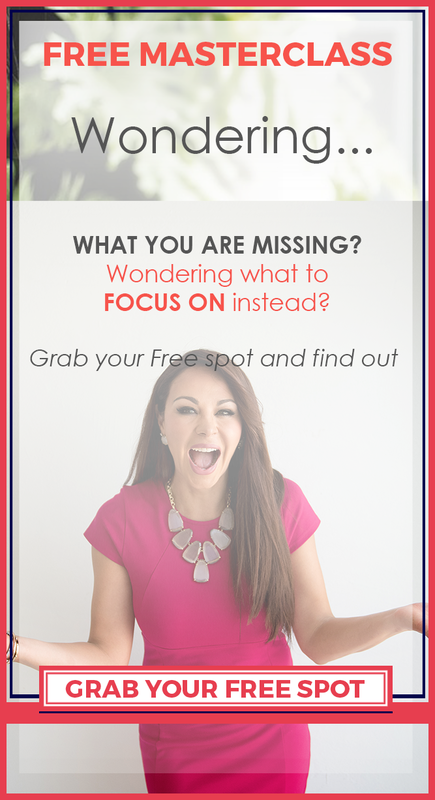 Are you EAGER to get the full scoop on all the tasks you should, and more importantly, should NOT be focusing on? “Erika, how can I know when I am done with the Figure-it-out Stage, and I am transitioning into The Build & Generation Stage? Ah yes, the build & generation stage. This stage usually lasts from six months to a year, but to be honest, it all depends on your capacity and commitment to take fast action and be consistent. This can happen in six months or it may take up to two years. It took me about a year before I was ready to transition from this stage into The Hustle. You have sales, but they are erratic and inconsistent. You are emailing content every week. You are eager and feel the excitement to make your business grow faster! You wonder why it’s “taking so long” when it seems so easy for everyone else. If I read this, I might also consider giving up. Indeed, let me tell you I did. In complete transparency, I was so exhausted, overwhelmed, and tired that I seriously considered going back to get a job. Then I realized I wouldn’t have control of my schedule anymore. I would have to “ask for permission” to take time off. Likely I would not be able to stop working at 3 PM. My income would be capped at what my boss believed was “acceptable” for me to make, or it would be based on “market average.” So I recommitted. Welcome to the Building & Generation! Test your processes and refine them. Master the process of marketing for lead generation. Create your first product, program, or service to sell. And that’s not all… Do you want a deeper look into the tasks you should and should NEVER focus on in The Build & Generation? Now that you know you’re in the Build & Generation Stage, how can you tell if you’re ready to move on to The Hustle Stage? You are consistently making more than $3,000 a month. You have consistency in your income. You have between 1000 to 5000 subscribers. You have between 500 and 1000 social media followers. A solid understanding of the areas of interest and the pain points of your audience. Now, this is when everything starts to change. You start to have more fun! Because you worked so hard during the figure-it-out and the Build & Generation stages, you actually are at a point where you things just start to click. You are building momentum, and you start mastering the marketing and sales processes that will help you get into The Machine Stage. This is when income generation, Leverage income, and—maybe, just maybe—some passive income starts rolling in. However, from my point of view, this is a crucial time. you truly need to Hustle it up. You must make what is working happen in a shorter period of time, taking less of your energy and time, but happening more consistently. This is what will get you to the next level—to that six-figure business, or those five-figure months. How do you know if you are ready for the Hustle stage? You have a solid understanding of the areas of interest and pain points of your audience. If this looks like the current state of your business, keep reading. Feeling that you’ve put in a lot of work but you haven’t seen the results that you want. Overwhelmed and depressed about what it has taken to get to this stage. You may start to question if this is what you want to do for the rest of your life? You are overwhelmed by the amount of content that you need to create. You are having difficulty managing content creation and marketing activities this in addition to business fulfillment (taking care of your own customers). You have more confidence because you know what works. You know you can make money. You feel excited because you know this can absolutely work. You feel excited to work with people. You are beginning to think that you can make a living from your business. Want to get a deeper look at the tasks you should and should NEVER focus on in The HUSTLE Stage? Now that you know you’re in The HUSTLE, how can you tell if you’re ready to move on to The Machine? You are consistently making more than $10,000 a month. You have at least three offers that are selling, three funnels that are converting, and planned marketing activities that you know work. You have over 5000 email subscribers. You have systems in place to help you with the daily operation of your business. You have two team members that are working fabulously for you. YAY!! I’m doing the happy dance with you. It has been really hard, but you’ve stayed committed and made it through the first three stages. This is a fabulous stage to be in. Because this is when things begin working on auto pilot. You begin scaling up faster, and you’re setting everything up in order to get your business on to the million dollar rundown. This stage is when you are paying yourself handsomely, and you still have money left over in the bank—your profit. So how long does it take to complete this stage? It depends on your particular situation. For me, it lasted about twelve months. However, those twelve months are not nearly as difficult and trying as the other stages. So how do you know if you are already in The Machine? You have at least three offers that are selling, three funnels that are converting, and planned marketing activities that you know, from previous experience, work. You have systems in place that help you with the daily operation of your business. You have between 1000 and 2000 social media followers. Does this look like your business? You find new levels of confidence and clarity. You have gotten over the criticism and haters. Yes, it still hurts, but you are more focused on your mission. Although I have, to be honest with you, self-doubt will happen from time to time. What tasks should you be focused on during The Machine? If you want to know what those other things are and which tasks you should still be doing and which should be delegated. So how do you know when it is time to move on to The Leverage and Profit? Yay! You are making at least $20,000 dollars a month. You have close to 10,000 email subscribers, or maybe more. You have a solid team that supports you. You’re completely removed from the customer service tasks. You have grown your team so you can totally trust them. You have a copywriter, a graphic designer, and a tech person who helps you with your website. You have five funnels that work consistently. You are scaling up and ready to crank it up. I know it has not been easy. This is the stage when you realize that you don’t have a hobby but a real company that can very easily scale up. You have realized that you are part of the 5% of the population who makes this kind of income. “Should I keep going?” isn’t even a question because you’ve already proven that you can have more success with your own business than with any other endeavor or job. This stage has no time duration or limit, because you’ve made it! Your objective is to recreate this level of income—I’m talking seven figures—without killing yourself in the process. So how do you know you’re in the Leverage and Profit? You have close to 10,000 email subscribers, if not more. You have a solid team that supports you in managing the daily operations of your business. You’re considered one of the “Top People to Watch” in your industry. You’re completely out of the customer service tasks. You have built your team so you can totally trust them. Are you wondering what you can expect emotionally? Fear about being able to recreate this success year after year. The work stops being about making money and starts being about your vision and your purpose. You have more ideas than you can implement in any given period. The creativity that you experience makes you feel alive every single day. You know without a shred of doubt that your business is who you truly are. It is not just a business, but a part of you. You have an enormous desire to help more people and make a positive impact on their lives. You are completely in love with personal development, knowing you cannot get to the next level without becoming a better and stronger human being. You take “S#H%&T” from no one. “I’m really ready to recommit? This is when you can start tapping into your generosity and find meaning in giving to those who have less than you. But before then… Let me know in the comments section, which stage you are in. ?